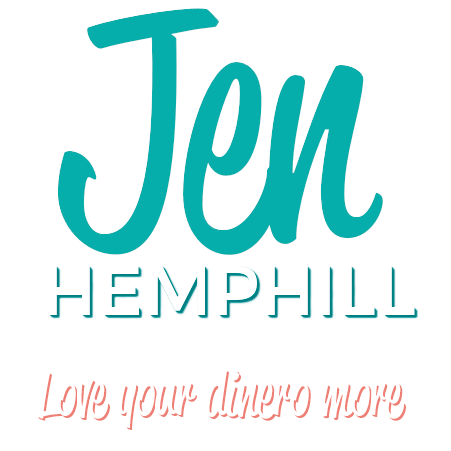 This website and it’s content is owned by Jen Hemphill. Please read this Website Disclaimer carefully. We reserve the right to change this Website Disclaimer at any time without notice, and by using the Website and its Content you are agreeing to the Website Disclaimer as it appears, whether or not you have read this language. If you do not agree with this Website Disclaimer, please do not use our Website or its Content. FOR EDUCATIONAL AND INFORMATIONAL PURPOSES ONLY. The information provided in or through our Website, Programs, Products and Services is for educational and informational purposes only, and is made available to you as self-help tools for your own use. NOT LEGAL OR FINANCIAL ADVICE. The information contained in our Website, Programs or Services is not intended to be a substitute for legal or financial advice that can be provided by your own attorney, accountant, and/or financial advisor. Although I am an Accredited Financial Counselor (AFC®) in good standing that does not replace the guidance of a financial advisor. Care has been taken in preparing the information provided to you, however, we cannot be held responsible for any errors or omissions, and we accept no liability whatsoever for any loss or damage howsoever arising. The law varies by state, and it is constantly changing, and therefore it affects each individual and business in different ways. As a result, it is recommended to seek outside financial and/or legal counsel relating to your specific circumstances as needed. You are hereby advised to consult with your tax consultant, accountant or lawyer for any and all questions and concerns you have, may have, or hereafter have regarding your own income and taxes, and any and all information presented by our Website, Programs or Services pertaining to your specific financial and/or legal situation. PERSONAL RESPONSIBILITY. Our Website, Programs, Products, and Services aim to accurately represent the information provided. You are acknowledging that you are participating voluntarily in using our Website, Programs, Products, and Services, and you alone are solely and personally responsible for your results. You agree to use your own due diligence and judgment before applying any recommendation or advice that you may receive on or through our Website, Programs, Products and Services. You acknowledge that you take full responsibility for your health, life and well-being and for all decisions now and in the future. NO GUARANTEES. My role is to educate, support and assist you in reaching your own goals, but your success depends primarily on your own effort, motivation, commitment and follow-through. I cannot predict and I do not guarantee that you will attain a particular result, and you accept and understand that results differ for each individual. Each individual’s results depend on his or her unique background, dedication, desire, motivation, actions, and numerous other factors in his or her finances. You fully agree that there are no guarantees as to the specific outcome or results you can expect from using the information you receive on or through this Website. TESTIMONIALS. I present real world experiences, testimonials, and insights about other people’s experiences with my Website for purposes of illustration only. The testimonials, examples, and photos used are of actual clients and results they personally achieved, or they are comments from individuals who can speak to my character and/or the quality of my work. They are not intended to represent or guarantee that current or future clients will achieve the same or similar results; rather, these testimonials represent what is possible for illustrative purposes only. NO ENDORSEMENT. References or links in my Website to the information, opinions, advice, programs, products or services of any other individual, business or entity does not constitute my formal endorsement. I am merely sharing information for your own self-help only. I am not responsible for the website content, blogs, e-mails, videos, social media, programs, products and/or services of any other person, business or entity that may be linked or referenced in my Website. Conversely, should my Website link appear in any other individual’s, business’s or entity’s website, program, product or services, it does not constitute my formal endorsement of them, their business or their website either. AFFILIATES. From time to time, I may promote, affiliate with, or partner with other individuals or businesses whose programs, products and services align with mine. In these instances when I promote, market, share or sell programs, products or services for other partners and in exchange I may receive financial compensation or other rewards. I am highly selective and I only promote the partners whose programs, products and/or services I respect. At the same time, you agree that any such promotion or marketing does not serve as any form of endorsement whatsoever. You are still required to use your own judgment to determine that any such program, product or service is appropriate for you. You are assuming all risks, and you agree that I am not liable in any way for any program, product or service that I may promote, market, share or sell on or through my Website. CONTACT INFORMATION.By using my Website you are agreeing to all parts of the above Disclaimer. 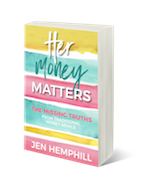 If you have any questions about this Disclaimer, please contact me at info@jenhemphill.com.